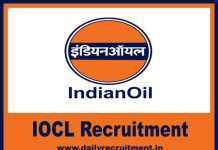 ICSIL Recruitment 2019: Intelligent Communication Systems India Ltd invites offline application from eligible candidates for following posts Care Taker, Peon, Cook, Aya, Kitchen Helper and Attendant. Recently it has released the recruitment advertisement for above said posts. Applicants who are seeking jobs in central government can use this chance. 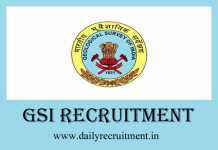 As per the ICSIL recruitment notification, totally 207 vacancies are allocated for this recruitment. Eligible candidates should send the filled application form to given address from 19.12.2018 to 08.01.2019. ICSIL recruitment notification & application form is available in official website. ICSIL will recruit the aspirants on contract basis. Selection will be based on interaction/ documents verification etc. After that selected candidates will be placed at anywhere in Delhi. Candidates must have passed 10th from recognized board. Applicants maximum age limit should be 40 years. Aspirants should submit the application form through offline. Applications received after the due date or incomplete applications will be rejected. More details of ICSIL jobs, salary, latest vacancies, upcoming notification, merit list, result and etc. are given in official website. You may visit ICSIL Careers to get more details about this recruitment. Here you will get information like educational qualification, age limit, application mode, fee and how to apply. Keep check www.dailyrecruitment.in regularly to get latest updates. 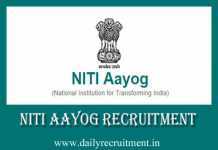 As per the notification, totally 207 vacancies are allocated for this recruitment. Post wise vacancy details and salary details are given below. Candidates must have passes 10th from recognized board. Aspirants should submit the application form through offline. Applicants should pay Rs.1000/ (Non-refundable) shall be taken at the time of final joining. Go to official website icsil.in. Send it to the given address on or before the last date. 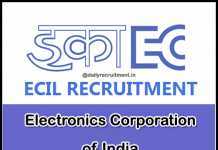 ICSIL Recruitment 2018: Intelligent Communication Systems India Limited (ICSIL) invites offline applications for the recruitment of Caretaker Post. Particularly, 41 vacancies are allotted for ICSIL caretaker job. Eligible candidates can send their prescribed format of application form along with necessary documents to Intelligent Communication Systems India Ltd. (ICSIL), New Delhi through proper channel on or before the last date of 01.10.2018. Download the ICSIL Job notification and prescribed application form at official website of ICSIL (i.e. icsil.in). Candidates should have passed 10th class from recognized board and must have age limit between 25 years to 40 years. The final selection of applicants for the panel will be based on the performance in the interaction, scrutiny of documents of their age, qualification, experience etc. 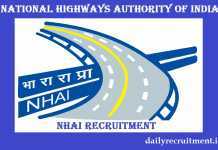 Selected candidates will be appointed at anywhere in Delhi on purely contractual/ outsourced basis in Department. 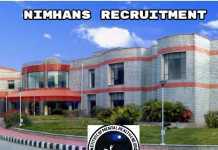 Send the offline application form to given office address from 10.09.2018 to 01.10.2018. Who wish to apply for Intelligent Communication Systems India Limited (ICSIL) Recruitment vacancies can log in/visit their official website to collect more details like, Latest News, Upcoming Vacancies & etc. 10th Passed/ Equivalent from any recognized university/institution. Minimum age limit is 25 years and maximum age limit is 40 years. Go to official website -> icsil.in. Find the correct notification “Advertisement for the post of Caretaker purely on contractual / outsourced basis” and open it.